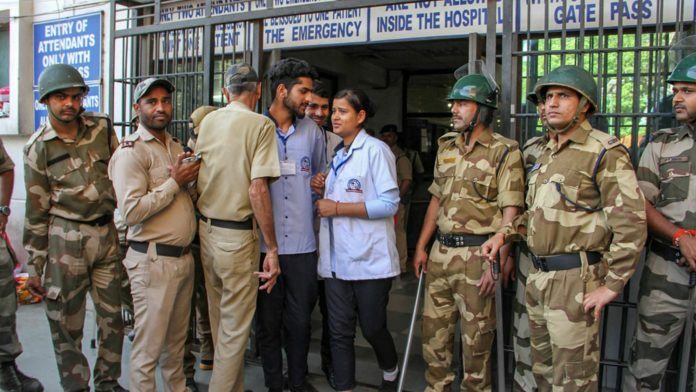 Jammu, April 10: Condemning the killing of its leader and his PSO in a terrorist attack in broad daylight in Kishtwar, the RSS termed the attack a “security lapse” and called for extending the Army’s ‘Operation AllOut’ in the hilly district to prevent spread of terror in the Jammu region. “The terrorists want to create fear psychosis and trigger migration of Hindus from these hills areas like 1990 situation. They want to demoralize people. Their designs will never be fulfilled,” he said. Previous articleLights, Water, Colour, Music, Dal Lake, Zabarwan Hills- It can’t get better ! Next articleRomas: UN expert urges end to rising intolerance.